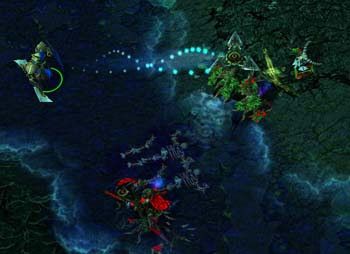 Dota-Allstars 6.55 Map Screenshots. 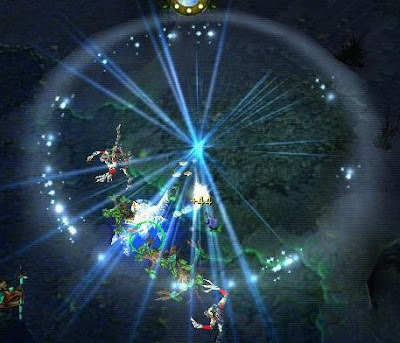 Here is some screenshots of the brand new Dota 6.55 map. The new items picture is still taken from the beta, i will change it tomorrow. It's already late here ^-^ Here we go! The cosmetics for Night Stalker is make him more terrify on the night. Multiple Town Portal is now enable. 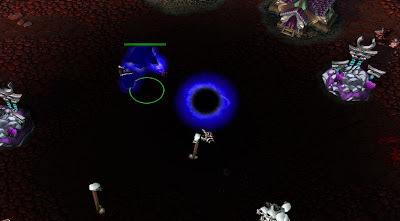 Now you can teleport in about 300 AoE near the tower without having unit/tower as target. Just click the land near them. 2 New Heroes! Kunkka the Admiral Proudmoore (Captain Coco) and Alleria the Windrunner. Also watch the location of the Sentinel Tavern, it is now placed on the bottom right of the map. The Dagger is now not disabled by creep/tower attack, only hero attack disabled it. glad to hear that! Now the old model of Ezalor is the metamorphosis mode. New placement of the Life Tree hopefully balance the Sentinel tower. nice. a handsome hero. compared to goblin clokwerk. huhu..
wow is jaina proudmoore father isnt it (in warcraft story). 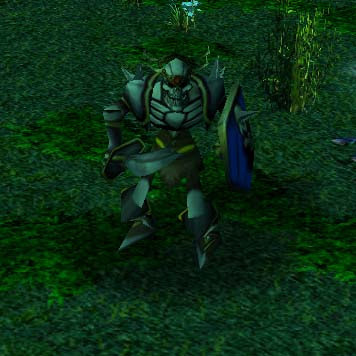 rylai/cm is original model for jaina. I think Captain Coco will be one of DotA's favourite hero. I like his 1st skill. Hello! nice... note: when his 3rd skill ends he leaves a green mark under him.I wonder what that is for? maybe for fun.. or not. Btw, when this map released ? This one is Beta right? I'm waiting the complete one. DOTA rocks!!! His first skill gives him a 100% splash damage and 60 bonus damage for x seconds. Excellent for pushing and killing. His second skill summons a ghost ship that moves forward for about 2k range, cauing any enemy in it's way to be slowed for 3 seconds and sucked back a little distance. (I tried spamming this skill in -wtf mode and there's no way any hero can run from you.) Good for chasing, but does no damage whatsoever. His third skill makes himself miss on attacks, but not sure whether this has any other effects on him since this spell cannot be casted on enemies. Until other effects are known, this skill is useless. His ultimate, when casted on an target hero (enemy, ally or himself), leaves a mark on the ground at where the target was. After 3-4 seconds, or when the hero gets hit, the hero will automatically teleport back to the mark. 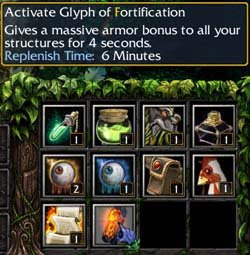 Excellent for escaping ganks and chasing, apparently. 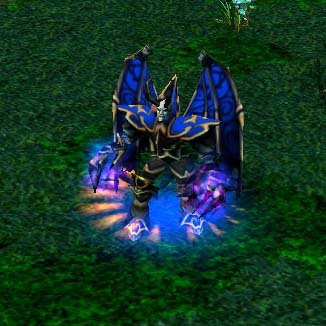 His third skill gives him or any other hero a percentage increase in ms and crtic for a few seconds, then the secondary effect kicks in which makes him miss on attks. I found two new items but they seem not working yet. Please don't remove Ezalor's light balls. That will seriously nerf his pushing skills. 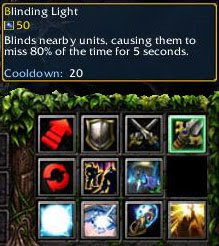 There are already lots of blind/miss-to-hit skills, AOE, single target or part of a disabling skill. I know there's an urge to pay homage to Gandalf in LOTR with that Blinding Light skill, but come on. I noticed that Chakra's cooldown has been improved to 19/18/17/16 from a constant 19 in the previous version. However the slight health regeneration and the +% damage buff is now gone. Let me just say that the +28% damage bonus is essential. In early game you can do more hurt/harrassment to enemy heroes and towers (600 range helps too). In late game you can buff carry heroes and make them even more awesome. In fact, there was no waste casting Chakra on a friendly hero who had full mana. It is equally useful especially if your teammates use heroes whose skills do not really use much mana. 3 sec less cooldown and no more +28% damage at level 4... it is a hard sell. I know I can't expect the decision makers to listen to some random anonymous dude like me, but if it were up to me, I would cap the damage bonus to +20%, just to compensate for the reduced cooldown. 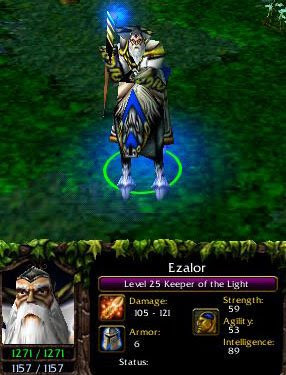 I have played Ezalor a lot, that's why I'm passionate about him. He is one of the top choices if my friends and I wanted a fast game. @alief : Thx for the clarification i will try to comment on the other post and keep updating screenshots of the changes found as you prefer here. this has to be a joke.. just cant be!! to many beta maps released very soon, and those changes? the sentinel base is so huge!! april's fool passed away so i dunno what kind of joke is this -.-"
@nickfreak - it still the beta, everything can be changed. @alief - well, i just agree with the beta map 9.. but not the beta 12, it came with weird changed, aint IceFrog style :S the fact is that they are screwing it up and most of the ppl dnt like it!! can u tell me the map are download from the side same with the texture in the picture??? I dunno why they have to make undying so small... even his zombies are bigger than him. Anyway, it's still buggish like when you die and revives, he returns to his original size. i think they did good work for it now, i mean new version look cool instead the big one. Abaddon's shield now has the properties of the hero damage reduc, not sure if this was always true...as in I absorbed ~480 damage when i had a lot of armor. Also i think the cast point of coil might have been improved a touch, uncertain. Also the CD is 10 sec at all lvls, I think that's less. 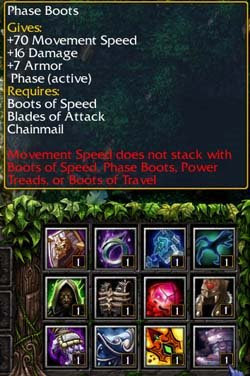 Ult does not channel, she has lich's 'nova blast' and the mana regen aura is +3 at lvl 3 (no lvl 4). Freeze is same. 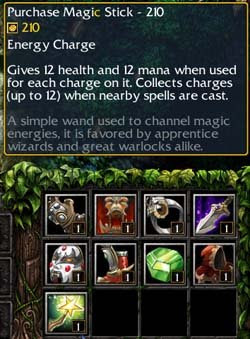 Bara's ult can target magic immune, not sure if this is new. Also, when I charged some thing, near by allie would attack it, not sure why. Your blog is the best! Thank you for this unic information. And the damage has not changed since 6.54!